Social Security and working: believe it or not, the two are more or less completely compatible with each other. You can absolutely get Social Security retirement benefits and work at the same time. However, there are a few things that you do need to know. There are no penalties for receiving Social Security and working at the same time IF you have reached your full retirement age. After your full retirement age, you can earn as much money as you like without incurring any penalties. NOTE: The rules described here are for Social Security retirement benefits. There are different rules for disability or supplemental security income payments. What Are the Social Security Work Penalties if I am Younger than My Full Retirement Age? More Than a Year Under Your Full Retirement Age: If you are under your full retirement age for the entire year when you are working, then Social Security will deduct $1 from your Social Security paycheck for every $2 you earn above the annual limit. For 2018, that limit is $17,040. The Year You Reach Your Full Retirement Age: In the year that you reach your full retirement age, Social Security will only deduct $1 for every $3 you earn above $45,360 until the month you reach full retirement age. According to Social Security, “your benefit will increase at your full retirement age to account for benefits withheld due to earlier earnings. So, you can kind of think of the penalties as another way to save for your future. 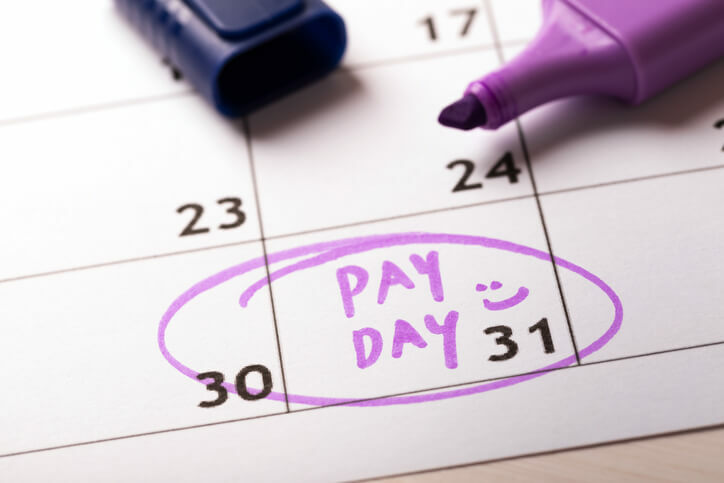 What Counts as Work Earnings? Bonuses, commissions and vacation pay. Income that is not counted includes: pensions, annuities, investment income, interest and veterans or other government or military retirement benefits. No matter your full retirement age and whether or not you are paying work penalties or not, if you are working, you WILL continue to pay Social Security taxes on your earnings. The good news here is that your additional earnings could potentially increase your Social Security benefit amount. Social Security will check your record every year and will notify you if you have achieved a higher benefit amount. When Should You Start Social Security Benefits? The general rule of thumb is that you should delay the start of Social Security benefits as long as possible — regardless of whether you intend to work or not. This is because the earlier you start, the smaller your monthly benefit check will be. You can use a Social Security break even calculator to determine the optimal time to start benefits. Or, find out your different benefit amounts for different start ages and try various scenarios in a detailed retirement calculator. The NewRetirement retirement planning calculator will tell you exactly how your cash flow, net worth, out of savings age and debt situation will be impacted by different Social Security benefit amounts and start ages, factoring in penalties for any work income received before full retirement age. How Long Should I Work? There are so many benefits to work: staying engaged, social connection, mental stimulation — and, of course, income. You should work as long as you need to and as long as you want to. Again, you can use the NewRetirement retirement planning calculator to help you assess how work income impacts your long term retirement plan. You may also want to explore the best jobs for seniors, benefits of work and tips for delaying retirement.